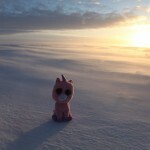 I cannot believe that a full year has passed since this very cute pink unicorn wished you a Happy New Year. Yet, over the past 12 months our blog has attracted more than 16,200 visits. 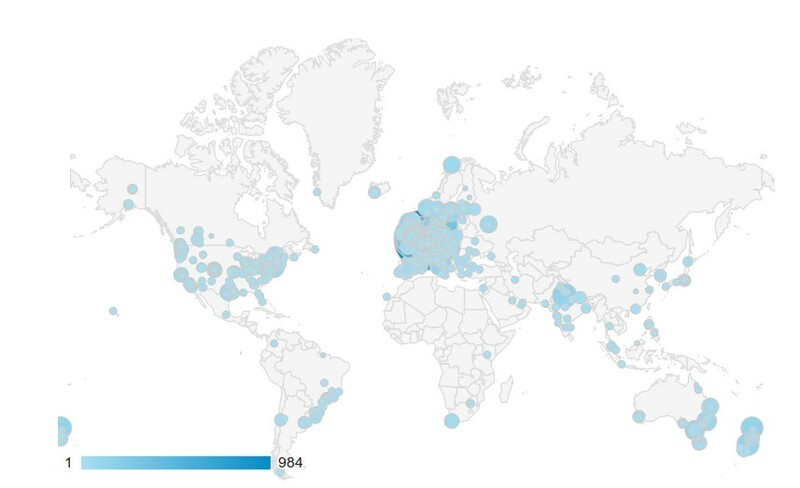 And the blog analytics show that you, our dear readers, are based not only in Europe but literally all over the world! With 67 new posts published in only 52 weeks, it’s more than likely that you missed a few interesting ones. Don’t worry, today’s Image Of the Week highlights some of the most exciting content written, edited and published by the whole cryo-team during the year 2016! Enjoy and don’t forget to vote in the big EGU Blog competition (see below) ! 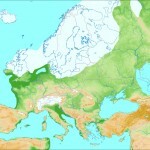 Last glaciation in Europe, ~70,000-20,000 years ago [By S. Berger]. 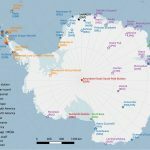 The 82 research stations in the Antarctic [By S. Berger]. Our two most popular posts of the year were both maps featured as images of the week. 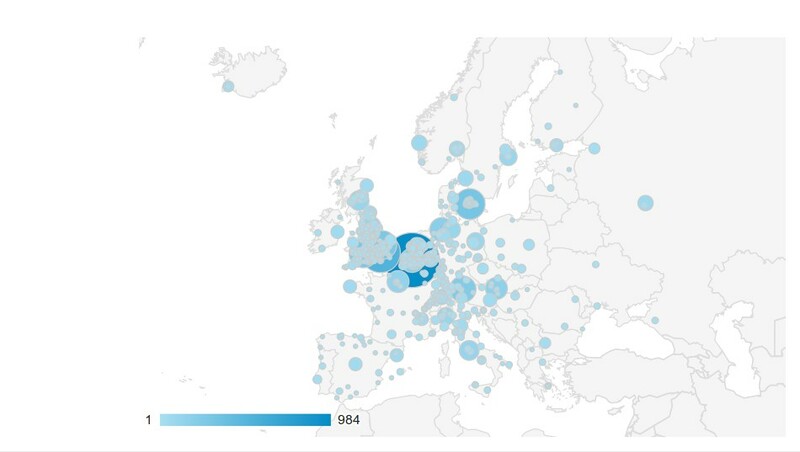 The “Where do people stay in the coolest place on earth” got 2,830 views while the “Last Glacial Maximum in Europe” has been visited 878 times. We also launched our new “for dummies” category that aims at explaining complex glaciological concepts in simple terms. The first and most read “for dummies” is all about “Marine Ice sheet instability” and explains why West Antarctica could be destabilised. Marine Ice Sheet Instability [By D. Docquier]. Three other “for dummies” have been added since then. They unravel the mysteries behind Water Masses, Sea Level and Ice Cores. Another welcomed novelty of 2016 was the first “ice-hot news” post, about the very exciting quest for the oldest ice in Antarctica. In this post — issued at the same time as the press release — the 3 PhD students currently involved with the project explain how and where to find their holy grail, i.e. the 1 million year old ice! The list goes on of course, and I could probably spend hours presenting each of our different posts one by one and explain why every single one of them is terrific. Instead, I have decided to showcase a few more posts with very specific mentions! The quirkiest ice phenomenon : ice balls [By E. Smith]. The most puntastic title “A Game of Drones (Part 1: A Debris-Covered Glacier” [By M. Westoby]. 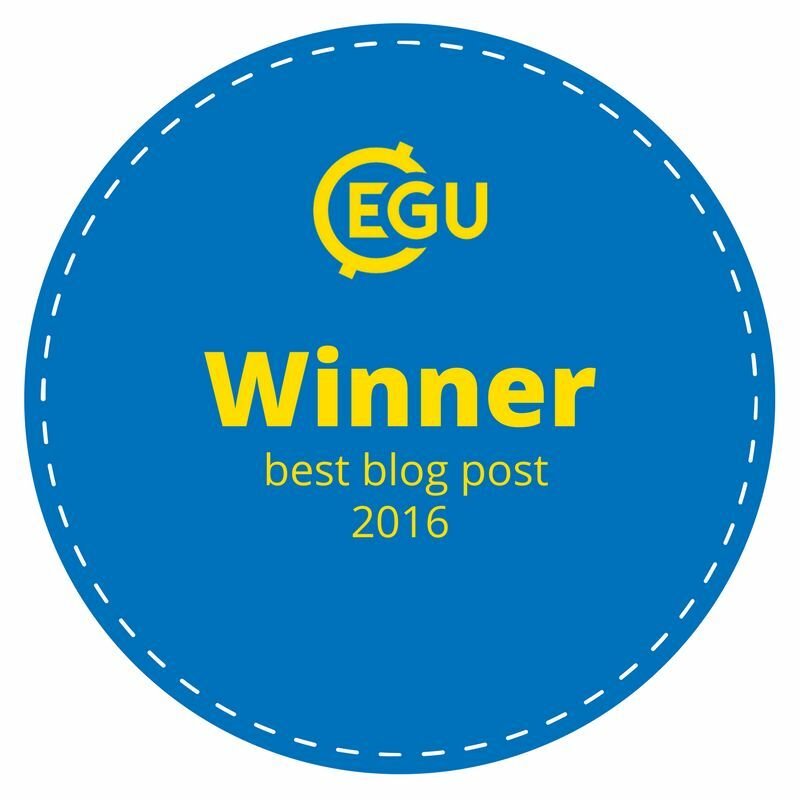 To celebrate the excellent display of science writing across all the EGU blogs, a competition has been launched. From now until Monday 16th January, we invite you, the cryo-readers, to vote for your favourite post of 2016, which should be “journey of a snowflake” (second-to last option). I am obviously being totally objective but if you’re not convinced, the little guy on the right might be more persuasive. If you’re really adventurous, you could also consider clicking on other posts to check what they look like, after having voted for the cryo-one, of course. You would like to contribute to the blog (because you would like to be part of this great team or simply because you think your sub-field is not represented well enough). Not to confuse you with a long speech, the image below explains how to get involved. We always welcome contributions from scientists, students and professionals in glaciology, especially when they are at the early stage of their career. Thank you for following the blog! 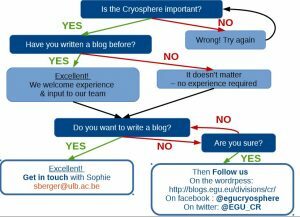 PS: this is one of my favourite tweets from the EGU cryospheric division twitter account. What is yours? This is it! 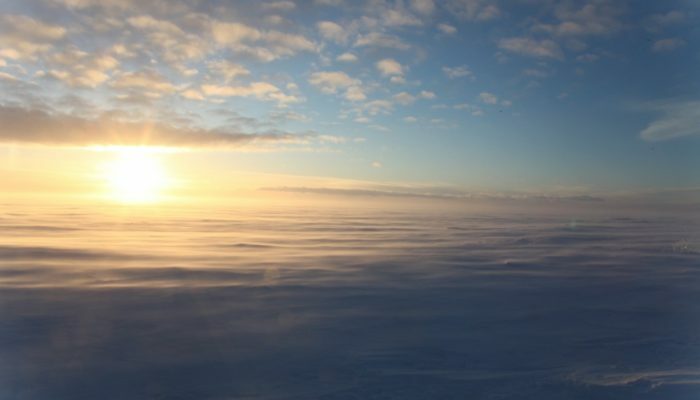 The new European horizon 2020 project on Oldest Ice has been launched and the teams are already heading out to the field, but what does “Old Ice” really mean? Where can we find it and why should we even care? This is what we (Marie, Olivier and Brice) will try to explain somewhat. 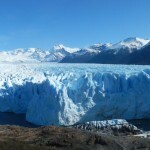 Why do we care about old ice, ice cores and past climate? Unravelling past climate and how it responded to changes in environmental conditions (e.g. radiative forcing) is crucial for our understanding of the current climate and for predicting how climate will likely change in the future. 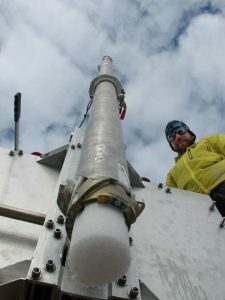 Ice cores contain unique and quantitative information on the past climate (e.g. atmospheric gas concentration). The caveat is that at the moment, we can “only” go back up to 800,000 years at EPICA Dome C ice core (Parrenin et al, 2007). 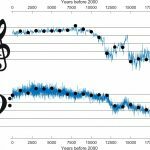 Nonetheless, marine records tell us that during the Mid-Pleistocene there was a major climate transition (0.8-1.2 million years ago): a change in the frequency of glacial-interglacial cycles in the Northern Hemisphere. Instead of an ice age every 40,000 year, the climate changed to what is termed a “100,000 year world”. Unfortunately, the time resolution of marine records are too coarse to provide details on the mechanisms behind such climate changes. We must therefore rely on ice cores to obtain a high enough temporal resolution. 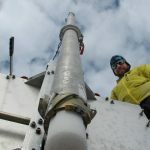 Furthermore, the ice traps air bubbles and can therefore provide a record of the atmospheric composition that can be used to directly measure the paleo atmosphere through the transition. 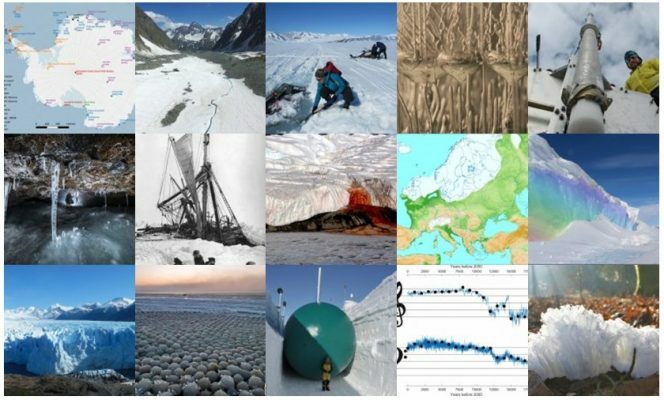 The new European project ‘Oldest ice’ was set up for this very objective: crack the Mid-Pleistocene Transition climate. It brings together engineers, experimentalists and modellers from 14 Universities around the world. and finally, reach the “holy grail”: recover ice from the very base of the ice sheet with a target age of 1.5 Million years. The whole project is anticipated to last 10 years! 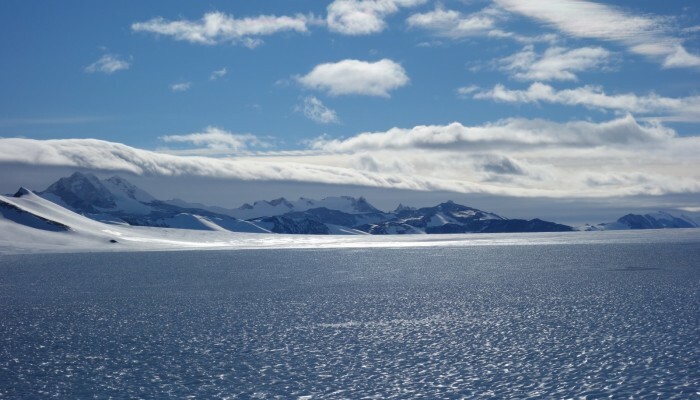 On a large scale, we must first narrow down places in Antarctica where Oldest Ice might be found. To do that, we rely on models. Then, we can focus our analysis on those regions by gathering field data in the form of airborne radar surveys. Further ground-based work is currently taking place. Thick ice and cold bed. We need thick ice to reconstruct past climate variations with sufficient temporal resolution (e.g. 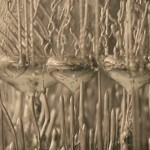 is there enough ice to measure air bubbles or other climate markers). 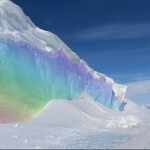 However, the thicker the ice, the higher the basal temperature. 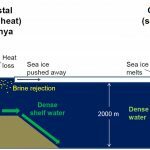 If the bottom of the ice is too warm, the ice at the base will start to melt, potentially destroying the Oldest Ice of the ice sheet. 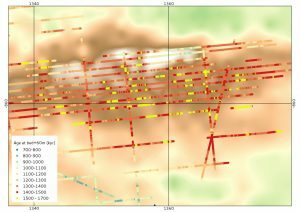 Finding a suitable drill site hence requires a good trade-off between thickness and cold-bed conditions. Slow-moving ice. 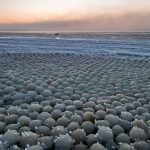 This is found mainly at the centre of the ice sheet. Imagine this: if ice were to flow at as little as 1 m per year over a period of 1.5 Million years, it would have travelled 1,500 km over that time interval! However, there is a catch: slow-moving areas are also low-accumulation areas, and low accumulation means warmer ice. This is because the ice is cooled by the addition of cold snow at the surface that then gets transformed to ice and then travels downwards. 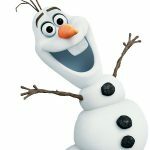 Indeed, the greater the accumulation, the deeper the “cold snow” can penetrate into the ice sheet! Undisturbed ice. In order to obtain an interpretable climate record, the ice recovered from the drill needs to be stratigraphically ordered, i.e. no mixing of the ice can have occurred so that we can assume that time increases with depth when we measure ice composition down the core. Variations in the height of the bedrock can induce such ice mixing. 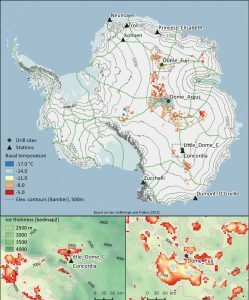 While boundary conditions such as ice thickness and accumulation rates are relatively well constrained, the major uncertainty remains in determining thermal conditions at the ice base. 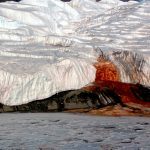 The thermal conditions depend on the geothermal heat flow (the flux of “energy” provided by the Earth which conducts heat into the crust) underneath the ice sheet. But to measure the geothermal heat flow, you need to reach the bed. 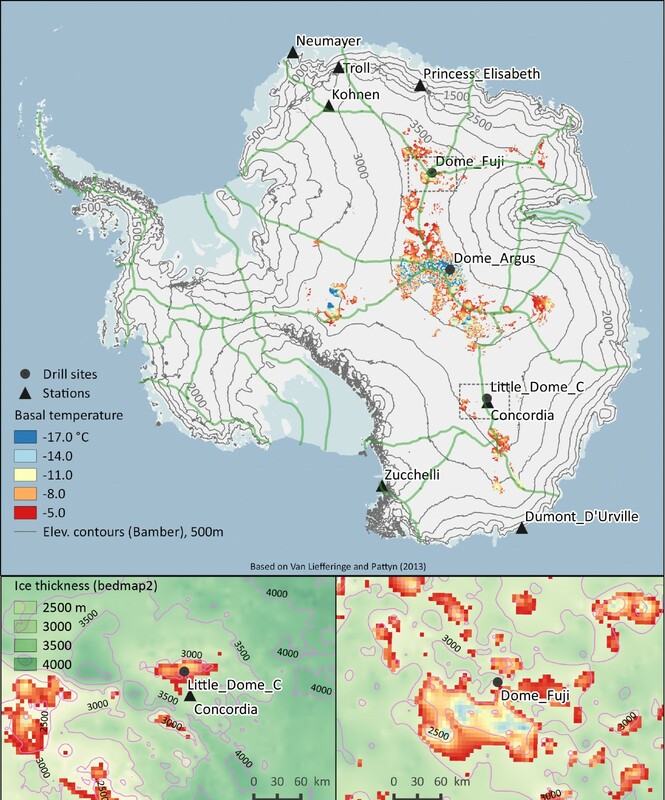 We need to find the ideal drilling location which would satisfy all these conditions – a bit of a “Goldilocks’ choice”: thick ice but not too much, low accumulation but not too low, low geothermal heat flow but high enough to not get folded basal ice. To do this we use several models: a simple one which calculates the minimum geothermal heat flow needed to reach the pressure melting point that we can then compare to data sets, and a more complex one resolving in three dimensions the temperature field with thermomechanical coupling (i.e. linking the ice-flow component to the heat-flow component). The combination of modelling approaches shows that the most likely oldest ice sites are situated near the ice divide areas (close to existing deep drilling sites, but in areas of smaller ice thickness) (see Figure 2). Radargrams (see figure 3) are powerful tools to observe the internal structure of the ice: variations in density, acidity and ice fabric all can create conductivity contrasts, which result in radar visual stratigraphy. Below the firn column (the compacting snow, up to 100 m thick), most returns are related to acidity variations, corresponding to successive depositional events (i.e. snowfall). Radar stratigraphy in this case can be considered isochronal, i.e. every visible line (see figure 3) were formed at the same moment, (Siegert et al., 1999). Such radar isochrones can then be traced for kilometres throughout the ice sheet where radar data has been acquired. 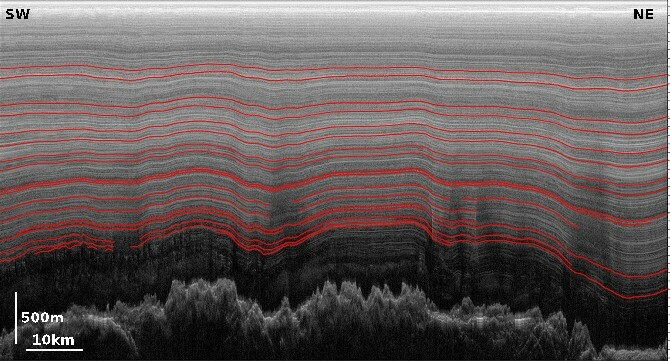 When radar lines intersect an ice core site, the radar stratigraphy can then be dated by matching the isochrone-depths to the ice core depths at the site and then transferring the age-depth timescale. This allows to date entire sub-regions. However, the very bottom of the ice column is often difficult to interpret: radar isochrones cannot always be continuously followed from the ice core. The newly acquired Oldest Ice A radar survey (Young et al., in review) over the Dome C region (see figure 2 for location) gives very rich stratigraphic information and the proximity of the EPICA Dome C ice core has allowed the dating of the isochrones. The ice sheet in this area could only be dated to ~360,000 years (Cavitte et al., 2016) and not further back in time because deeper isochrones are tricky to tie to the ice core, and other times, there is no clear signal (deep scattering ice, visible near the bedrock, at the bottom of Figure 3). As such, we need an age model to try to describe the age-depth relation below the deepest dated isochrones. The age of the ice primarily depends on its vertical velocity, so we can use a simple 1D model to describe the motion of the ice in the vertical direction. We run the model for an ensemble of vertical velocity profiles and basal melt rates, and consider the distribution of the basal ages (i.e. model ages) given by the profiles that reproduce the observations the best (i.e. isochrones ages). After running the model, it appears that many areas of the Oldest Ice A survey region host very old ice (see red and yellow dots on figure 4 which represent ages > 1 million years). A high enough bottom age gradient, provided by the dated isochrones, is required to ensure sufficiently old ice as a drilling target. Following initial calculations, it will probably be a better choice to drill on the flank of the bedrock relief than on its top. 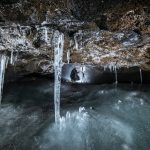 So in the end, where do we find the oldest ice? We have to find areas which provide a good compromise between thick ice (for the a good temporal resolution in the ice core) but not too thick (to avoid basal melting). The best sites will be the ones close to the surface ridge (to ensure limited displacement of the ice), standing above the surrounding subglacial lakes, and for which a lot of undated isochrones below the last dated isochrone are visible. To find out more about Beyond EPICA and keep track of progress visit the project website and follow @OldestIce on twitter! Brice Van Liefferinge is a PhD student and a teaching assistant at the Laboratoire de Glaciology, Université libre de Bruxelles, Belgium. 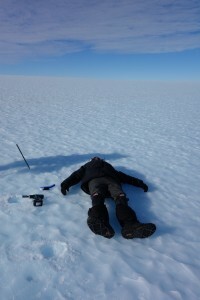 His research focuses on the basal conditions of the Antarctic ice sheet. He tweets as @bvlieffe. Marie Cavitte is a PhD student at the Institute for Geophysics at the University of Texas at Austin, Texas. 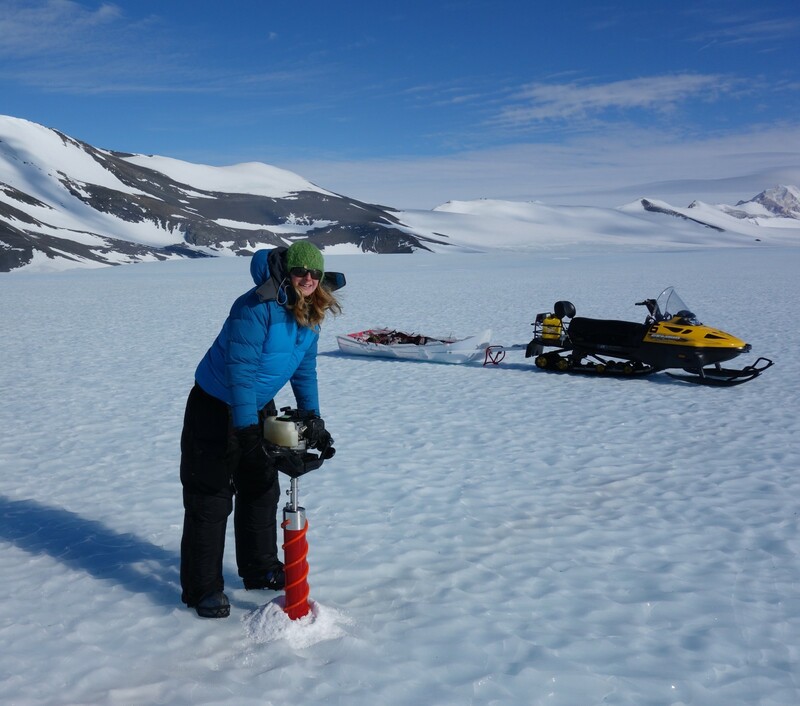 Her research focuses on understanding radar internal stratigraphy and using it as a means to constrain the temporal stability of the East Antarctic Ice Sheet interior. Olivier Passalacqua is a PhD student at the Laboratoire de Glaciologie et Géophysique de l’Environnement, Grenoble, France. My Antarctic adventure started from Punta Arenas at the bottom of Chile, opposite Tierra del Fuego, on New Years Eve 2014 after a long journey from Heathrow via São Paulo and Santiago. Punta Arenas is where Shackleton organised the rescue of his men from Elephant Island after his voyage to South Georgia in the James Caird. It is also where I met my PhD supervisors Chris Fogwill and Chris Turney for the first time, along with ancient-DNA expert Alan Cooper. Punta is the base for Antarctic Logistics & Expeditions (ALE), who are part funding my PhD and supporting me and my supervisors in the field. After a couple of days in Punta Arenas, when the weather was right, we boarded an Ilyushin and flew the 4.5 hours to ALE’s base at Union Glacier in the Ellsworth Mountains. The Ilyushin is a big, rough-and-ready Russian transport plane equipped with an emergency rope instead of inflatable slides. We sat in the front half of the cabin and the back was packed with fuel and supplies for the base. Union Glacier is a hub for an assortment of mountaineers, explorers, tourists and scientists. By Antarctic standards the base is very luxurious, with toilet blocks and even showers. Our bags were taken from the Ilyushin and were waiting for us outside our clamshell tent: “Scott”. All the tents are named after polar explorers and they have proper camp beds and solid floors inside. With regular Ilyushin flights, there is plenty of fresh food and the chefs cook fabulous breakfasts, lunches and suppers. The mix of people coming and going means that there are plenty of interesting stories to hear at mealtimes. There was an American military man who had parachuted out of an Ilyushin to the North Pole, a cancer survivor who was trekking to the pole to raise millions of pounds for Cancer Research and lots of people who had climbed six of the seven summits and were in Antarctica to climb Mt Vinson, the last of the seven. 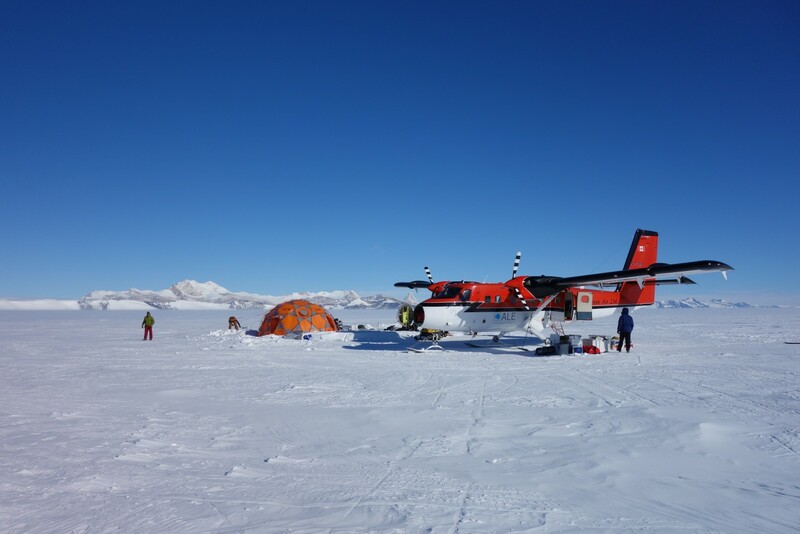 Good weather meant that we couldn’t enjoy Union Glacier for long and soon the Twin Otter was loaded with all our equipment and the four of us were flown out to our field site: the Patriot Hills in the Horseshoe Valley. 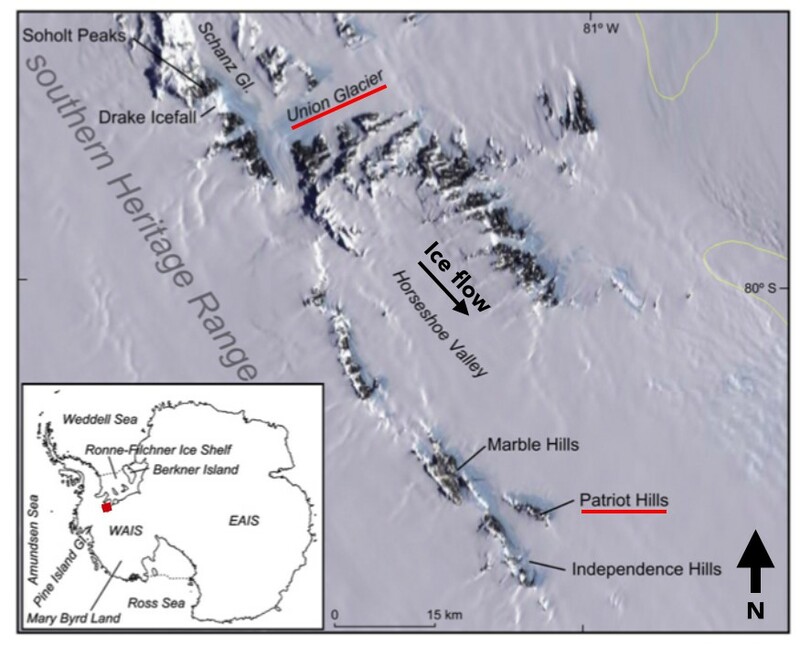 The Horseshoe Valley is at the end of the Heritage Range, close to the grounding line in the Weddell Sea. Katabatic winds blowing down the side of the Patriot Hills have caused a blue ice area to form. The chance to sample the old ice, which comes to the surface in these areas, is what brought us to Antarctica. Over the next few weeks we drilled a snow/firn core, and ice cores in the blue ice area. 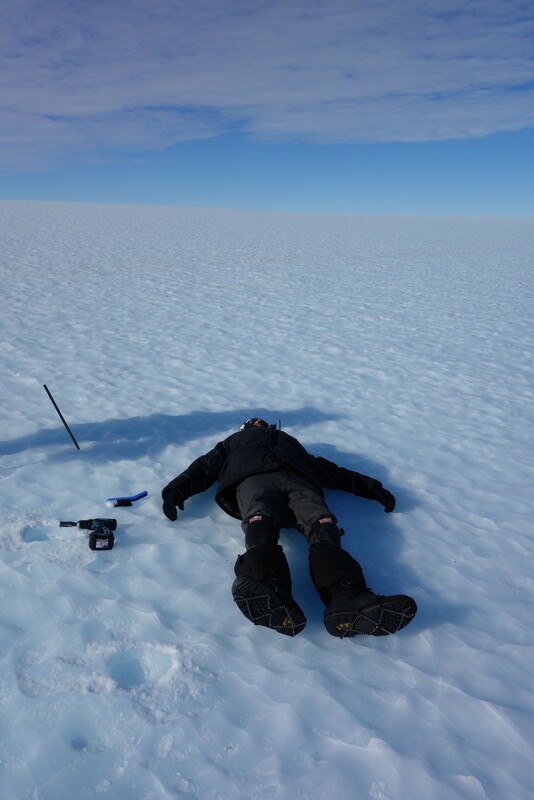 Surface samples were collected by Professor Chris Turney, crawling 1.6 km on his knees as though trying to appease the God of the Glacier, with a cordless drill from a DIY store. Once we get back to the lab, the samples will be analysed for trace gases, isotopes, tephra and ancient DNA. From this data we are hoping to extract a climate record reaching back to the Last Interglacial (~135 – 116 ka). 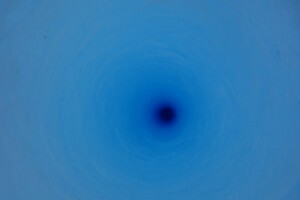 I will then use this record, along with other proxy records and GCM outputs, to drive the PISM-PIK ice sheet model. This will help to answer the main question of my PhD, which is: What was the Antarctic contribution to sea level rise during the Last Interglacial? 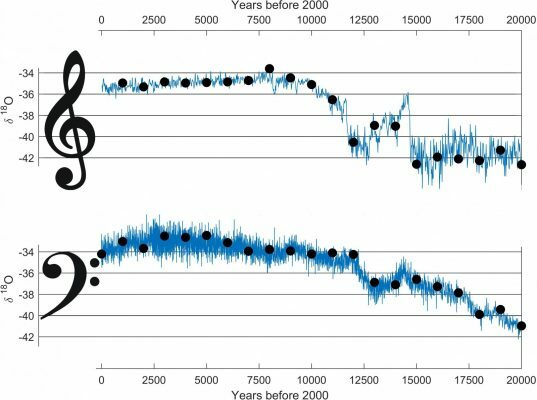 Global average temperatures during the Last Interglacial were 1-2°C warmer than pre-industrial times. As we move into a similar climate today, the past can be used as a process analogue for what might happen in the coming decades. 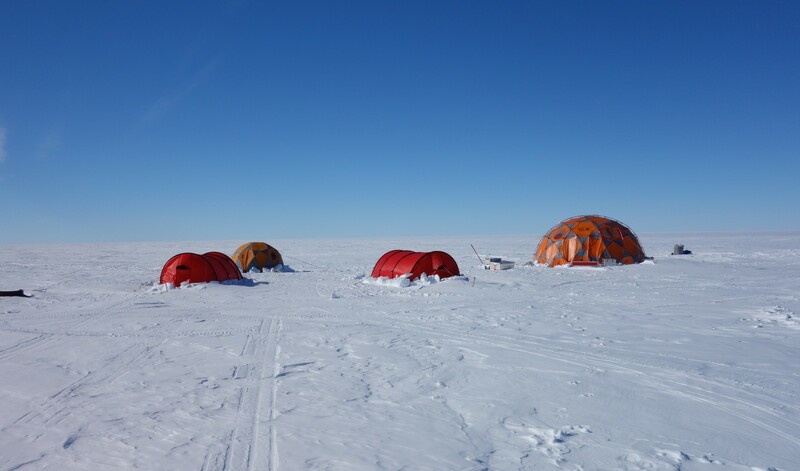 We set up our camp a little way away from the blue ice to avoid the worst of the katabatic winds. Camp consisted of a big mess tent and 3 sleeping tents. Fogwill and me had our own tents, but Turney and Cooper had to share. 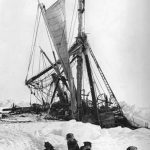 Turney and Cooper were struck down with colds and we took extra care to disinfect or quarantine anything the infected had touched because having a cold in Antarctica is a thoroughly miserable experience. Fortunately, we had lots of hot, hearty meals because ALE had sent us off with excellent frozen meals cooked by their chefs. We had curries, lasagna, stews, bread rolls and cake, and we only had to eat de-hy for lunch. The only food I missed was raw carrots. 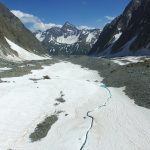 For obvious reasons, snow for drinking water was collected up-glacier of the camp, and the latrine was located down-glacier. We took it in turns to collect and melt snow for drinking water. Our toilet tent had about 3 or 4 different incarnations as storms buried our previous efforts. 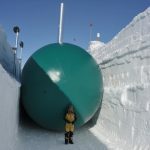 By the end, we found the best design was dug down about 1 m, with snow blocks and fuel barrels around it supporting a wooden board and a sheet of tarpaulin. This stopped snow getting in during a storm, but the tarpaulin could also be wrapped around your neck so that one’s body could appreciate the warmth rising up from the latrine, while keeping one’s nose out in the fresh air. 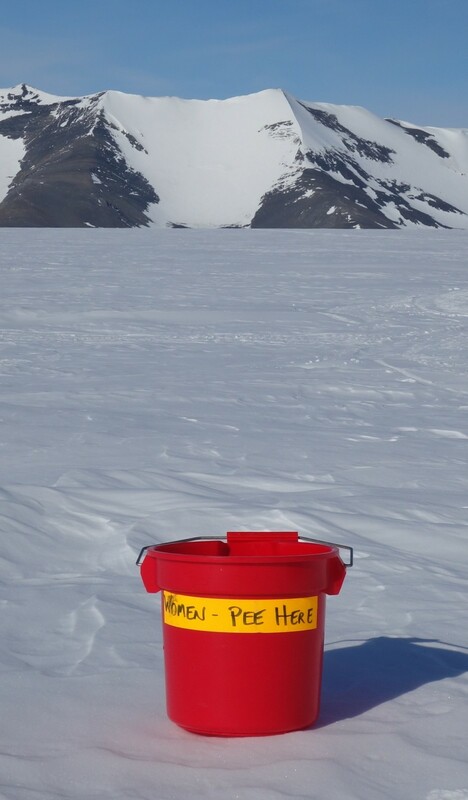 All waste is collected in containers so that it can be flown out to Chile on the next Ilyushin- all human waste has to be removed from Antarctica. Since the men have the advantage of being able to wee straight into the pee barrel, ALE kindly supplied me with my very own wee bucket, which I was extremely grateful for, particularly after an unpleasant incident with a SheWee at 3am, during a storm. The good weather meant that we were able to work most days. We had a couple of stormy days which allowed us to rest, read, listen to music, tidy down the camp, and recharge our batteries (literally). Electrical things aren’t at their happiest in the Antarctic cold. My iPod wiped itself in the last week and we had to hug our laptops inside our jackets to keep them warm enough to hold some charge. 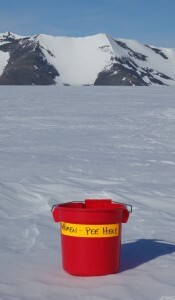 Once we’d collected all of our samples, it was time to leave the Patriot Hills and return to Union Glacier. We started packing things away while we were waiting for the Iridium call from the base, not knowing whether the Twin Otter would arrive that afternoon or tomorrow or the day after, or the day after that. We got the call and the Twin Otter was already on its way. A mad rush followed as we had to quickly but carefully dig out all of our tents from weeks’ worth of icy snow and pack them away. The plane landed less than 30 minutes later with the ALE guides who were going to take our skidoos back. With their help, we soon had everything loaded onto the plane, with just enough room for the four of us to squeeze in like sardines. Returning to the civilisation of Union Glacier was very exciting, especially seeing other people for the first time. I’m usually quite a shy and quiet person, but all reserve vanished in my first hours back on the base as I enthusiastically bounded up to strangers and asked to hear their life stories. The first wash was also fantastic. My hair had been a solid greasy mass of nastiness for weeks and having it back to its fluffy state was a joy. While we waited for a weather window so that the Ilyushin could come and collect us, we sub-sampled our snow/firm core, mended our tents and organised which equipment would be staying in Antarctica and what we’d be taking back. While we were doing this, ALE were starting to pack away Union Glacier base for the winter. We flew back to Punta on the penultimate Ilyushin of the season, so most of the other passengers were the staff. Everyone was sad to leave, but looking forward to seeing family and friends at home after months away. On returning from Antarctica, even the quiet town of Punta was an assault on the senses. The only smells in Antarctica are cooking, skidoo fumes and the latrine, so when we arrived back the smell of soil and vegetation seemed really strong. It took a few days to readjust to cars, dark nights, proper beds, baths, flushing toilets, running water, central heating, mobile signal, internet, televisions and unlimited electricity. Leaving civilisation was easier than returning to it. 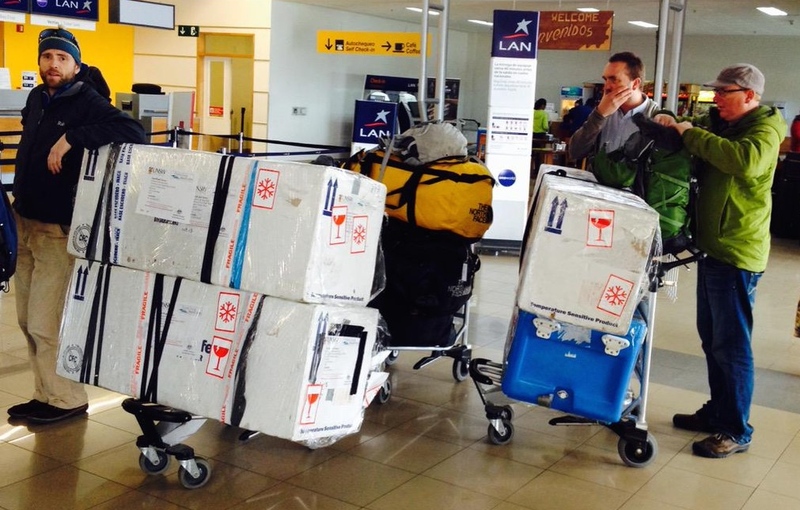 Our ice cores were stored in a refrigerated lorry back until our flight to Sydney via Santiago and Auckland. Although the cores were in special insulated boxes, the long flight with connections to the heat of a Sydney summer was very stressful. The previous season a box had been left behind at Auckland airport, resulting in a very expensive puddle. This year we were lucky and all boxes arrived at the other end and the unscathed cores were transferred to the freezers at UNSW. Now the hard work begins! After completing a BSc in Geography at Swansea University and a Glaciology MSc at Aberystwyth University, Helen moved from her native Devon in south-west England to Australia to start her PhD at the University of New South Wales in Sydney. 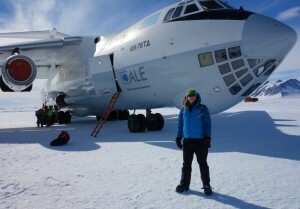 Her research focuses on modelling Antarctic ice sheet dynamics during the Last Interglacial using data from ice cores, as well as outputs from the CSIRO Mk3L GCM to drive the Potsdam Parallel Ice Sheet Model (PISM-PIK). She is supervised by Chris Fogwill and Chris Turney at UNSW, Steven Phipps at the University of Tasmania and Nick Golledge at Victoria University in Wellington. You can follow Helen on Twitter @helenmillman (https://twitter.com/helenmillman).